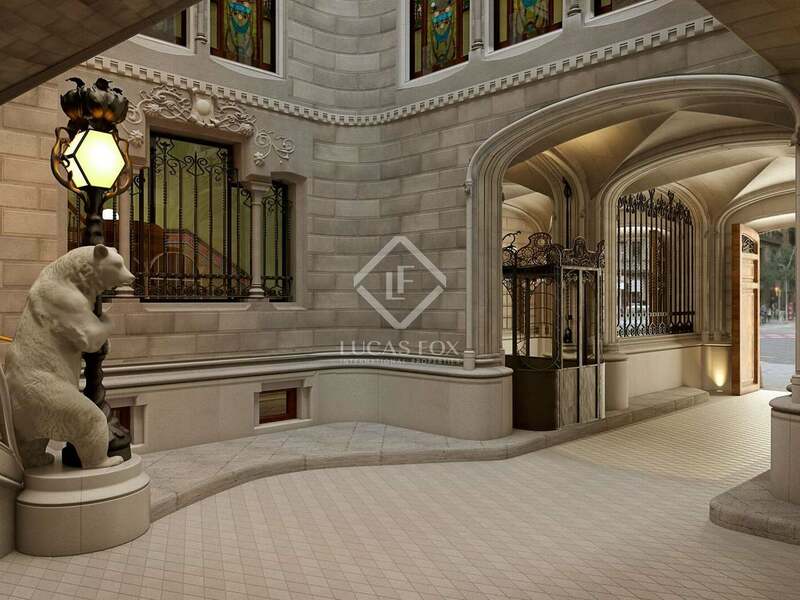 This property is part of the Casa Burés. 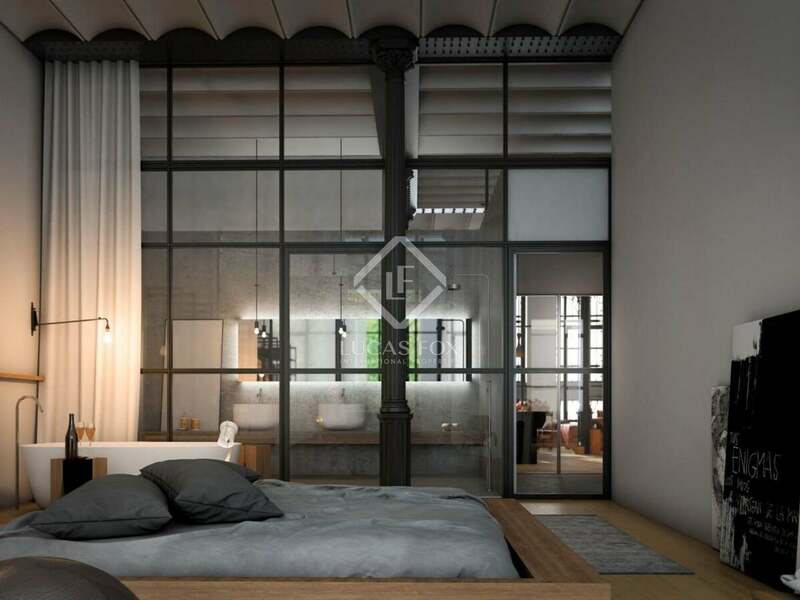 A truly unique residential development with more than 100 years of history. Casa Burés, Barcelona. Superb 3-bedroom property in a truly unique residential development with more than one hundred years of history and superb communal services, including 2 swimming pools. A once in a lifetime opportunity. 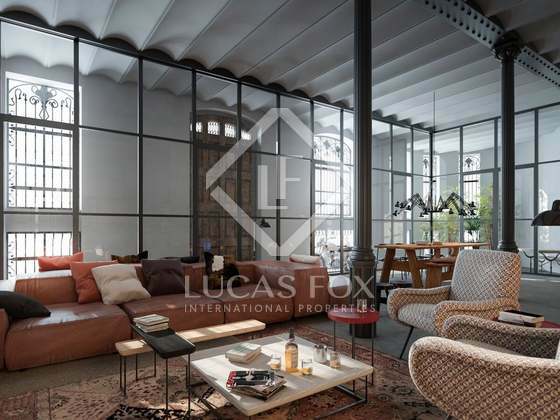 Constructed between 1900 and 1905, Casa Burés offers the possibility to acquire a property in Barcelona's Eixample district in one of the world's most impressive and best preserved Modernist buildings. 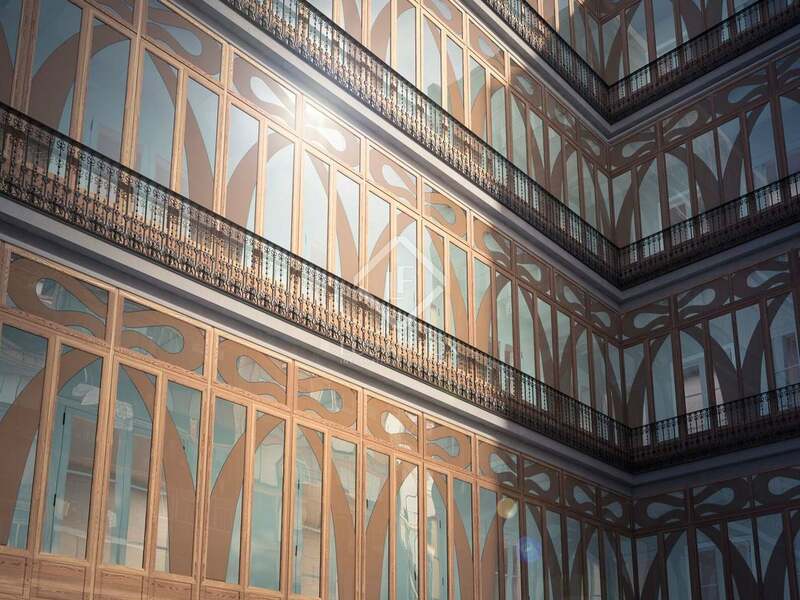 The renovation of Casa Burés not only preserves the building's structure and its listed decorative elements, but also maintains all the advantages of its Modernist architecture: light, space, habitability, high quality materials and the search for new solutions and maximum comfort. 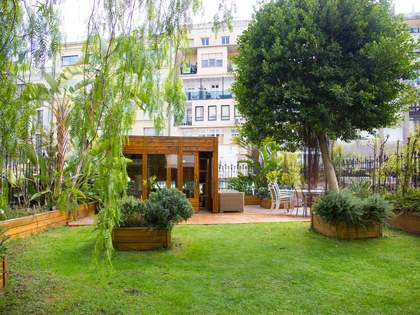 This particular property is located on the second floor (third real height) and measures 163 m². 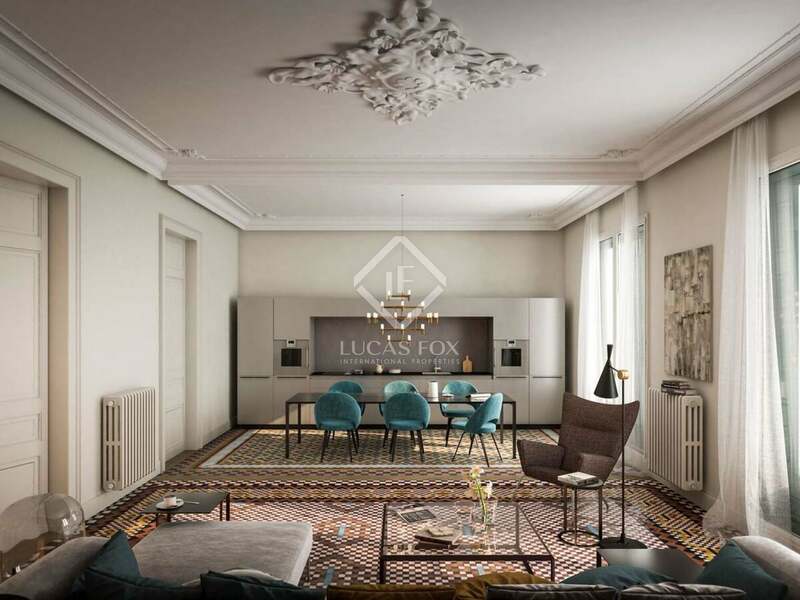 It has an open plan living room – dining room and kitchen, 3 double bedrooms (2 with balconies) and 2 bathrooms. 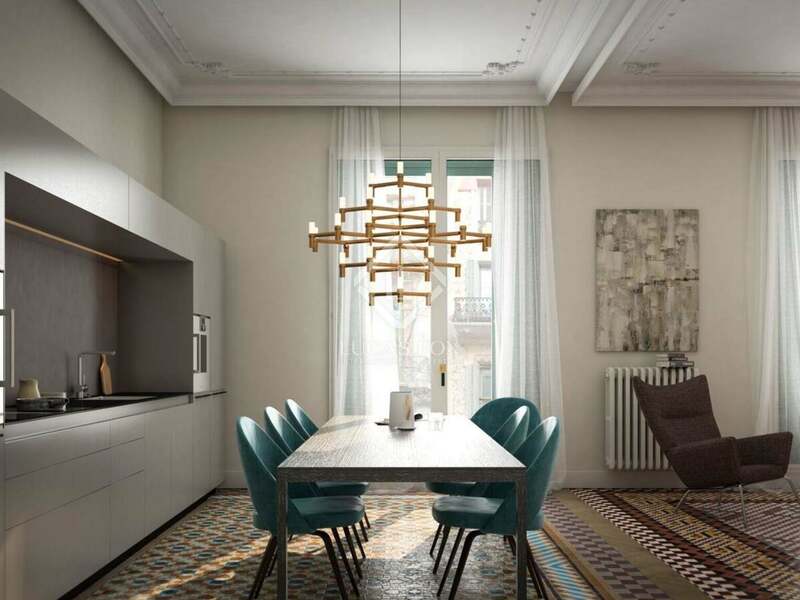 The fresh, welcoming interior décor combines traditional style with functional touches such as the combined living room and kitchen. 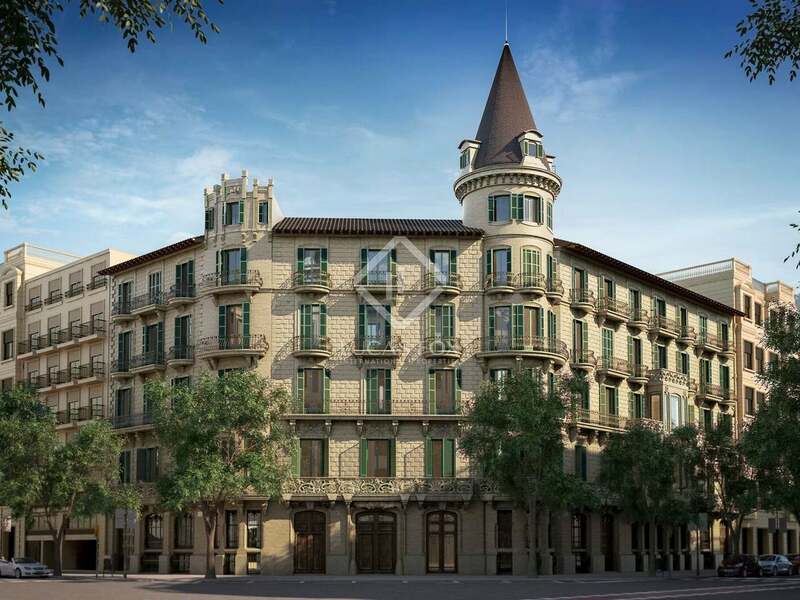 The Casa Burés development offers owners access to services and amenities unrivalled anywhere else in Barcelona. 2 communal areas – the lower ground floor and upper terraces – entitle residents to indulge, laugh and relax in exquisite surroundings. 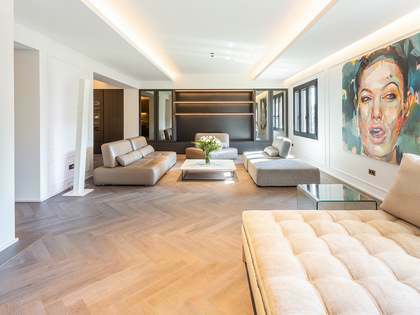 The lower ground floor has been transformed into an indoor pool, gym, home cinema, wine cellar, work space as well as housing a professional kitchen and dining area, ideal for entertaining large groups of friends. 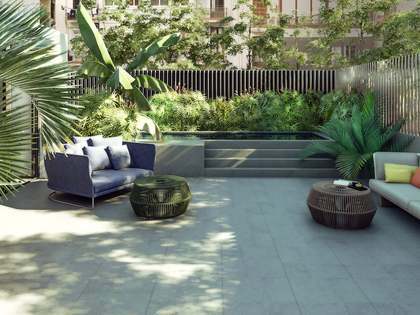 The upper terrace offers an outdoor pool. At Casa Burés you can enjoy unbeatable quality of life at all times of the year. 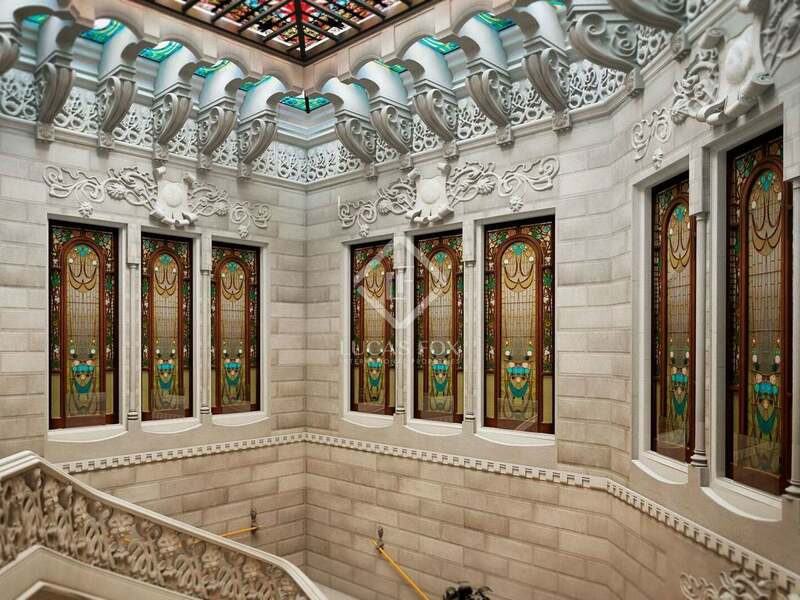 One-of-a kind for over one hundred years: Constructed between 1900 and 1905, Casa Burés takes its name from its first owner, Francesc Burés, owner of one of Spain's most successful textile companies. 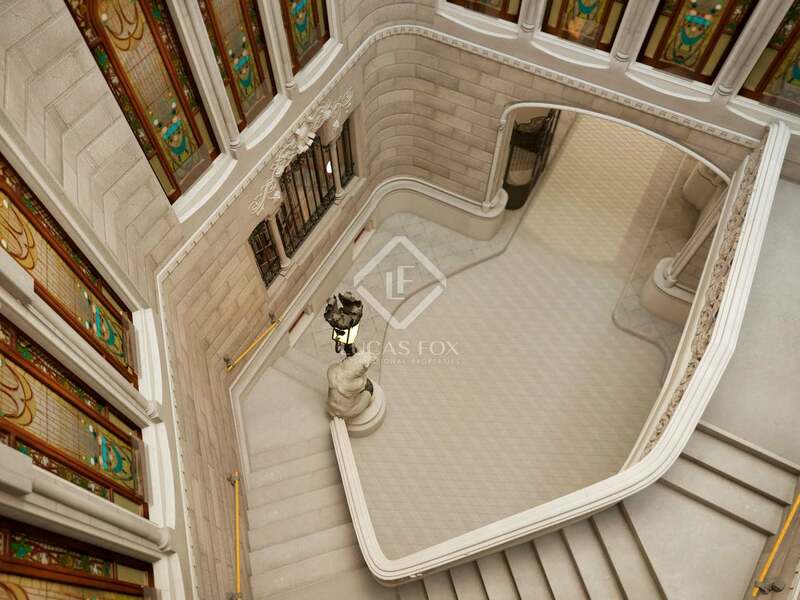 Originally, the ground floor housed the company's headquarters while the 1000m² first floor was Burés' family home. The upper floors – which were accessed by one of the first lifts to be installed in Barcelona – then comprised twelve 300m² rental apartments. The building's façade at the junction of Carrer Ausiàs March and Carrer Girona is just as imposing today as when it was first built. 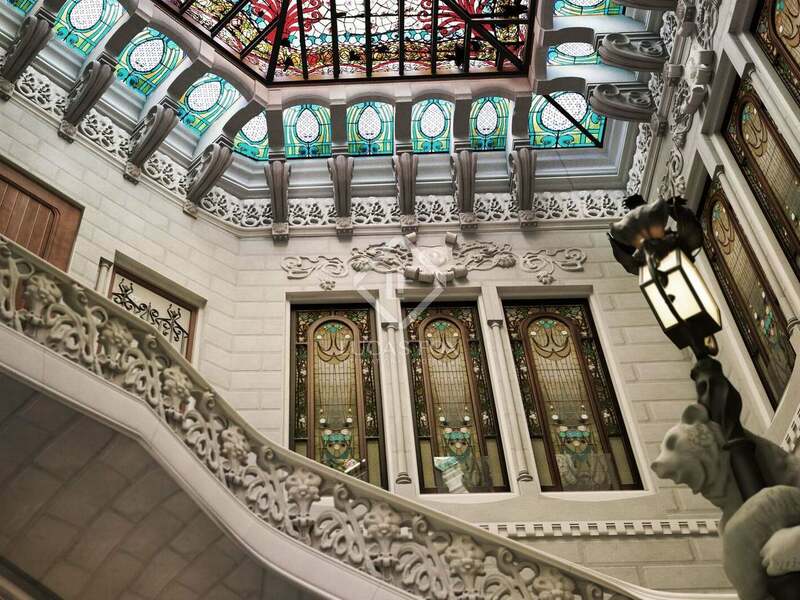 It is inside, however, where Casa Burés' greatest treasures are to be found. 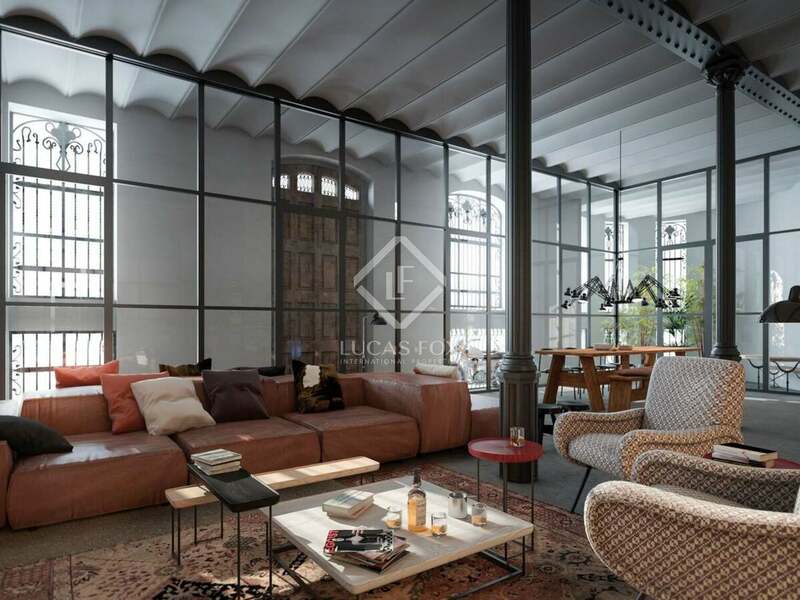 Modernist values: The renovation of Casa Burés not only preserves the building's structure and its listed decorative elements, but also maintains all the advantages of its Modernist architecture: light, space, habitability, high-quality materials and maximum comfort. 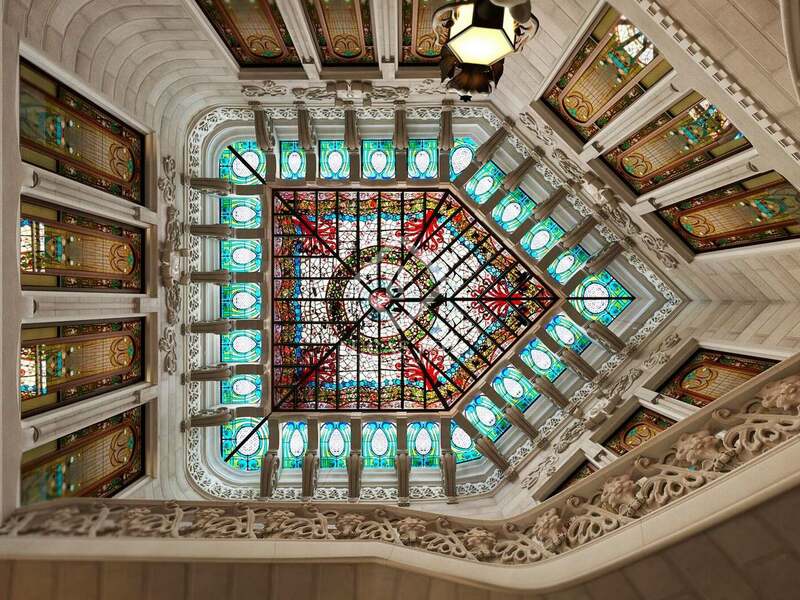 Preservation of the past: Every door, window, ceiling, floor, sculpture and pane of stained glass has been painstakingly studied by experts in Catalonia's Modernist heritage. The most valuable elements were restored by specialist craftsmen, while others were replaced by identical pieces adapted to suit today's purposes or given a new lease of life as decorative features. For example, sliding doors that previously divided rooms now partition the separate areas for daytime and night-time activities. And the exquisite wallpaper patterns that once adorned the walls of the bedrooms inspired the design of the new ground-glass screens that have taken their place. 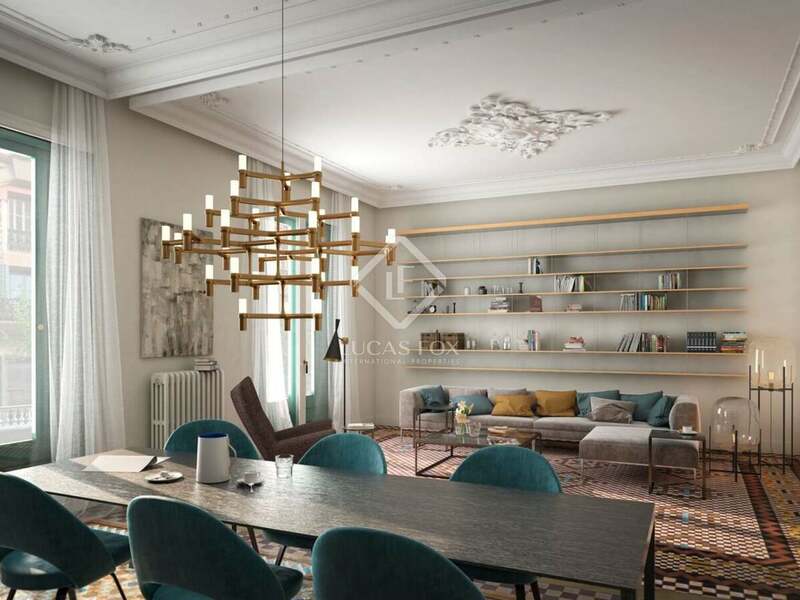 Casa Burés is just moments away from Passeig de Gràcia, the Palau de la Música, Las Ramblas, La Boquería food market, the recently remodelled Passeig de Sant Joan, Parc de la Ciutadella and the enchanting Borne neighbourhood in Barcelona's Old Town. The newly revamped OneOcean Port Vell and the beaches of Barceloneta are just a short stroll away. 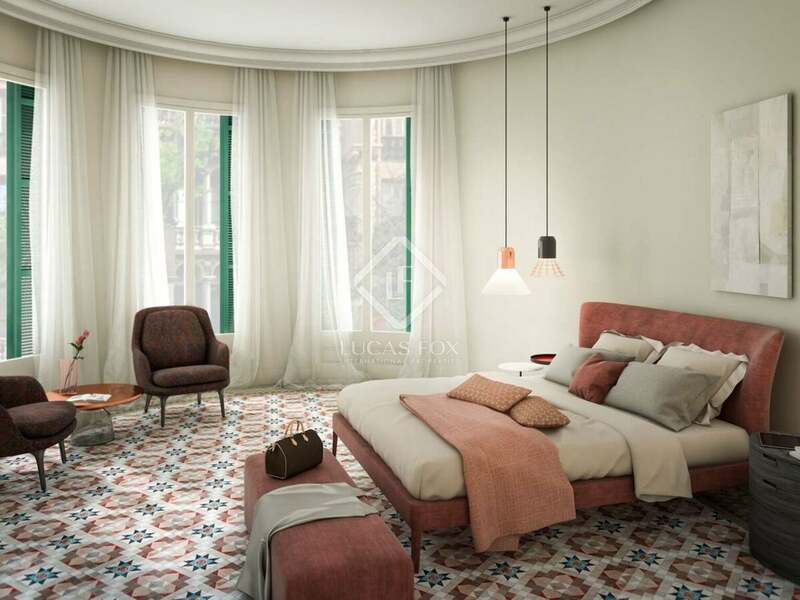 Casa Burés is ideally located for making the most of Eixample's laid-back lifestyle. Michelin-starred restaurants, designer cafés, creative art galleries, exquisite home décor shops, independent boutiques and exclusive food shops are all on your doorstep.